This means IR is undetectable to the human eye - perfect for wireless communication. For example, when you hit a button on your TV remote, an IR LED repeatedly turns on and off, 38,000 time a second, to transmit information (like volume or channel control) to an IR photo sensor on your TV. When you use your TV remote, an IR LED is used to transmit information to your TV. 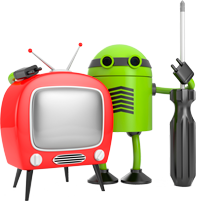 The IR receiver in your TV pick out signals from your remote among all of the ambient IR. The IR signal is modulated. Modulating a signal is like assigning a pattern to your data, so that the receiver knows to listen.